It was on this day in 1789, that Congress approved an Act for the establishment and support of lighthouse, beacons, buoys and public piers. In Celebration of the 200th Anniversary of the signing of the Act and the commissioning of the first Federal lighthouse, Congress passed a resolution which designated August 7, 1989 as National Lighthouse Day. 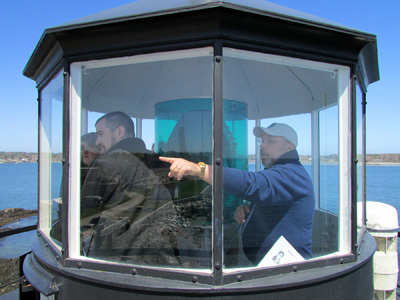 An Act for the Establishment and support of Lighthouse, Beacons, Buoys, and Public Piers. Section 1. Be it enacted by the Senate and House of Representatives of the United States of America in Congress assembled, That all expenses which shall accrue from and after the fifteenth day of August one thousand seven hundred and eighty-nine, in the necessary support, maintenance and repairs of all lighthouses, beacons, buoys and public piers erected, placed, or sunk before the passing of this act, at the entrance of, or within any bay, inlet, harbor, or port of the United States, for rendering the navigation thereof easy and safe, shall be defrayed out of the treasury of the United States: Provided nevertheless, That none of the said expenses shall continue to be so defrayed by the United States, after the expiration of one year from the day aforesaid, unless such lighthouses, beacons, buoys and public piers, shall in the mean time be ceded to and vested in the United States, by the state or states respectively in which the same may be, together with the lands and tenements thereunto belonging, and together with the jurisdiction of the same. Sec. 2. And be it further enacted, That a lighthouse shall be erected near the entrance of the Chesapeake Bay, at such place, when ceded to the United States in manner aforesaid, as the President of the United States shall direct. Sec. 3. And be it further enacted, That it shall be the duty of the Secretary of the Treasury to provide by contracts, which shall be approved by the President of the United States, for building a lighthouse near the entrance of the Chesapeake Bay, and for rebuilding when necessary, and keeping in good repair, the lighthouses, beacons, buoys, and public piers in the several States, and for furnishing the same with all necessary supplies; and also to agree for the salaries, wages, or hire of the person or persons appointed by the President, for the superintendence and care of the same. 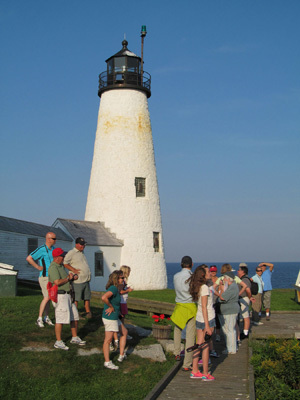 Senator John H. Chafee (Rhode Island) sponsored a joint resolution that was introduced to Congress on April 28, 1988 designating the day of August 7, 1989 as “National Lighthouse Day.” The summary of the resolution stated, “Designates August 7, 1989, as National Lighthouse Day and calls for lighthouse grounds, where feasible, to be open to the public.” The resolution passed the Senate on July 26, 1988 and the House (sponsored by Representative William J. Hughes, New Jersey) on October 21, 1988. President Ronald Reagan signed the Bill into public law (No. 100-622) on November 5, 1988. Mr. HUGHES. Mr. Speaker, I rise today to call attention to a special occasion which communities all across America will be celebrating next week. August 7, 1989, marks the 200th anniversary of the signing of the Lighthouse Act and the commissioning of the first Federal lighthouse in the United States. In honor of those events, I was proud to sponsor a resolution last year which designated August 7, 1989, as National Lighthouse Day. The celebration next week will provide some long overdue recognition for the important role which lighthouses played in the history of our country, and the values of safety, heroism, and American ingenuity which they represent. At the same time, I am hopeful that it will encourage communities and citizens groups around the country to rededicate themselves to the protection and restoration of these historic structures. As America continues its technological progress into the 21st century, it becomes easy to forget the wholesomeness and serenity of preindustrial establishments such as lighthouses. The history they provide gives us the opportunity to step back in time and learn more about our country. The contributions they made to our society, from protecting our coasts to guiding our sailors, should continue to be appreciated and remembered. I am proud to point out that there are three restored lighthouses in my congressional district in southern New Jersey. These three, the Cape May Point lighthouse, the Finns Point lighthouse, and the Hereford Inlet lighthouse, contribute greatly to New Jersey’s beautiful coastline. The Cape May Point lighthouse, which was first lit on October 31, 1859, was reopened to the public in 1988 after being closed for 50 years. Today, with restoration virtually complete, its light once again shines bright, giving comfort to seamen nearly 19 miles into the Atlantic Ocean. The Hereford Inlet lighthouse was built in 1874 and is a beautiful example of Victorian architecture. Under restoration since 1982, it continues to provide North Wildwood with a valuable monument to Cape May County’s maritime history. Last, the Finns Point lighthouse, located in Pennsville, is a 113-year-old marvel. It served as an aid to navigation along the Delaware River from 1877 until 1950, when the river channel was enlarged and deepened. Unfortunately, not every lighthouse is as lucky as these to have been adopted by a local citizens group or community. Many have fallen into disrepair and desperately need support. 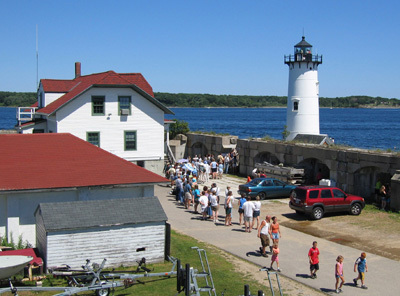 For this reason, I have been pleased to join with other Members of Congress in sponsoring legislation to establish the National Bicentennial Lighthouse Fund in order to provide Federal assistance for local lighthouse restoration efforts. Though National Lighthouse Day is celebrated annually by lighthouse organizations nationwide, Congress has yet to designate August 7 as the date our country officially recognizes in perpetuity the importance of America’s lighthouse heritage. The original resolution was enacted by Congress in commemoration of the 200th Anniversary of the signing of the Act and the commissioning of the first Federal lighthouse – thus August 7, 1989 was designated as National Lighthouse Day, but only for that year. Twenty-four years later, a Senate Resolution was passed in 2013 that declared August 7, 2013 as National Lighthouse and Lighthouse Preservation Day, but similar to 1989, the recognition was only for that particular year. 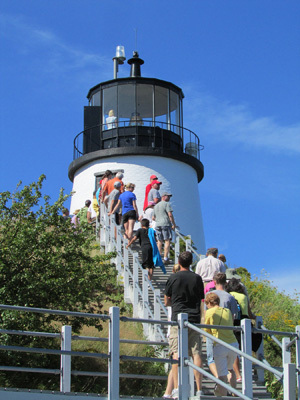 Over the past couple of decades, lighthouse leaders from around the country have worked tirelessly to convince Congress to permanently designate August 7 as National Lighthouse Day on America’s calendar, and though unsuccessful to date, those noble efforts continue. 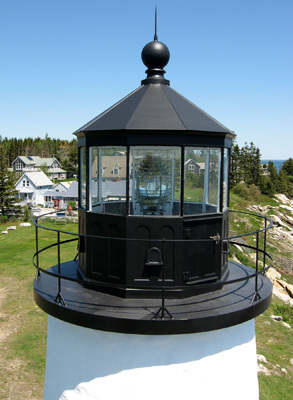 However, even without official recognition from Congress, the nationwide lighthouse community continues to “keep the flame” of our rich lighthouse heritage burning bright. 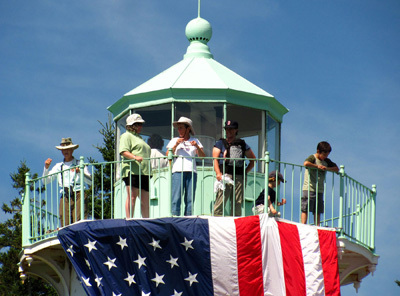 Each year, August 7 is celebrated as National Lighthouse Day, with lighthouse groups offering the general public a host of fun-learning activities to enjoy – including tours, cruises and presentations that pay special tribute to America’s lighthouses and their grand history.